The town is renowned for being the venue for large sport events. Furthermore, you can lodge in excellent luxury hotels there. St. Moritz can look back on a long history of major winter sports events. With regard to the World Ski Championships, we look back on past evets. Very early on, the small town in Grisons started becoming a central point for winter sports when the first ice skating competition took place in 1882. 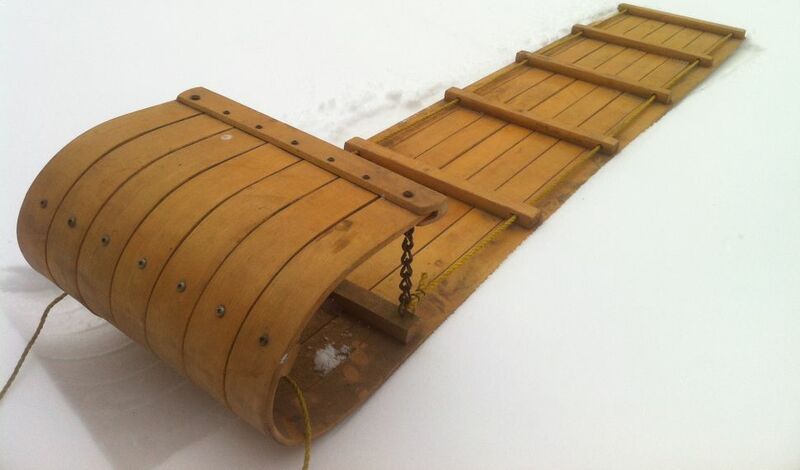 Clubs devoted to curling or tobogganing (a tobogan is a sled without runners) were established. One could also play bandy, a predecessor of ice hockey, as well as bobsled early on in St. Moritz. The town was truly established as a winter sports location in 1928, when the first official Winter Olympics took place there. The budget was 706’000 Swiss francs and 330 press accreditations were issued. Only few years later, in the year of 1934, the World Ski Championships took place in St. Moritz for the first time and in 1948, the Winter Olympics were held there again, this time combined with the World Ski Championships that took place at the same time in St. Moritz. It was the first Winter Olympics after the World War II, many athletes hadn’t left their countries in a long time or it was even the first time they did so. For many, St. Moritz represented a new beginning. The budget was 1,1 million Swiss francs and 498 press accreditations were issued. As a result, both a tourism boom as well as a building boom happened in the 1950s. 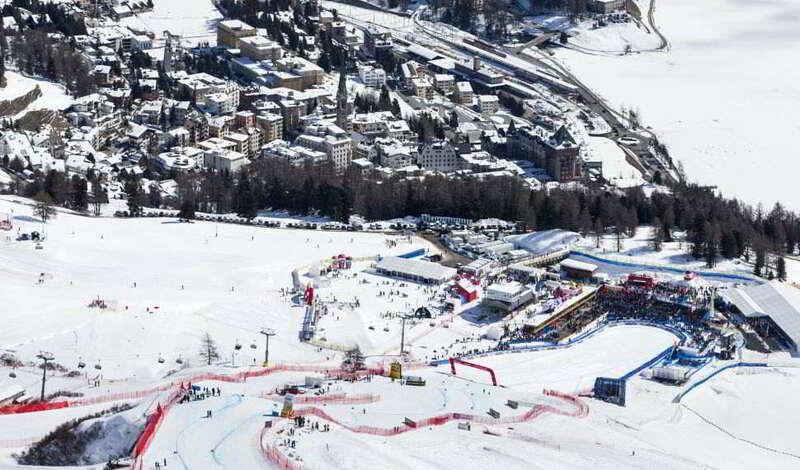 The status of St. Moritz as a venue for high-quality winter sports events stabilized. 1974 and 2003 the World Ski Championships took place in St. Moritz again. In 2003, all races were executed as planned and without postponements for the first time in 33 years. 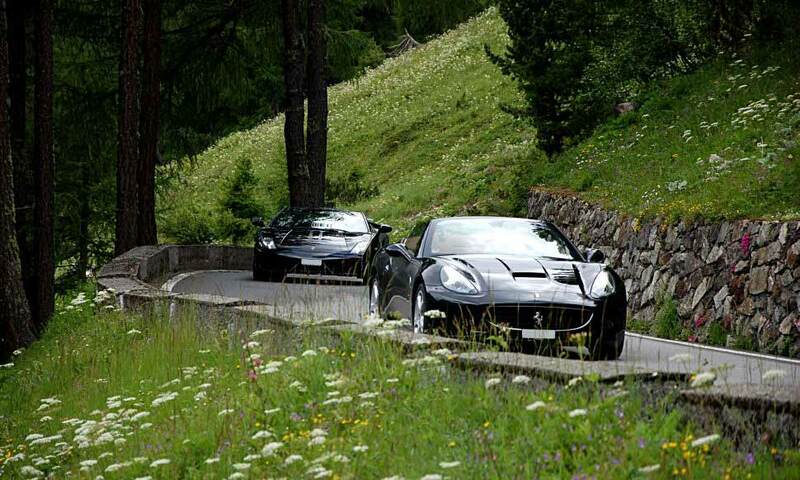 In preparation of this event, 1 billion Swiss francs were invested in the infrastructure and surroundings of St. Moritz. This was a complete success as approximately 170’000 visitors were attracted. Besides the alpine skiing, the spa town is globally renowned for other kinds of winter sports as well. Since 1923, the White Turf takes place there, the most famous Skijoring event of the world. It involves skiers to be towed by unmounted horses racing each other. 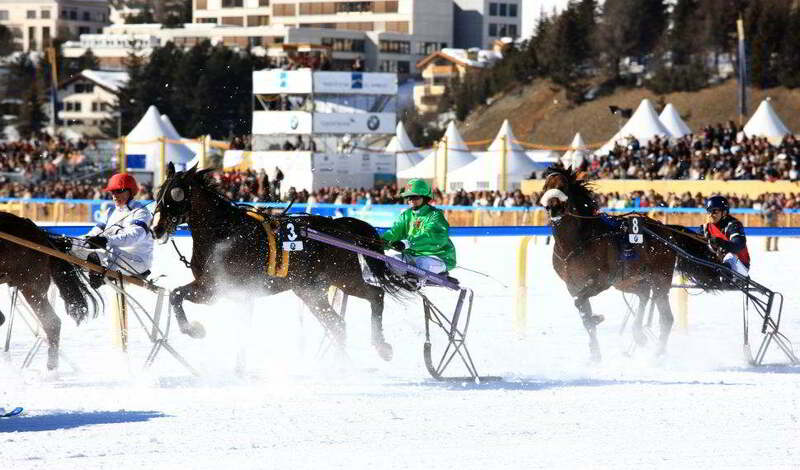 This year, the White Turf races are on the 12th, 19th and 26th of February. The first two dates overlap with the World Ski Championships – an ideal opportunity to visit both major winter sports events! Further noteworthy events are for example the Engadin skiing marathon with between 11’000 and 13’000 participants, cricket tournaments on ice and snow polo. Carlton Hotel St. Moritz: Snow sports enthusiasts are in good hands in the Carlton Hotel with its fascinating view. The Polo World Cup, the White Turf as well as the World Ski Championships all take place directly in front of it. 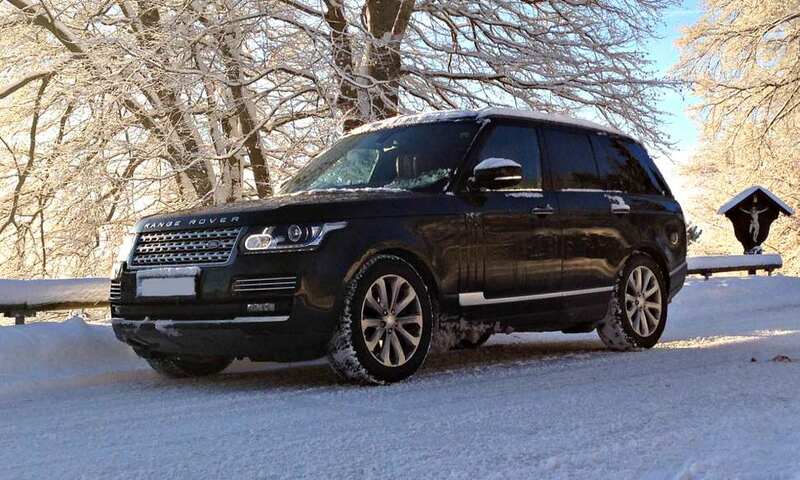 For more exclusive winter excursions, the outdoor butler is at your service to provide secret tips for excursions in the area. Badrutt’s Palace: Last year, the business with a long tradition celebrated its 120th birthday. The hotel preserved its vigor over the years, being enthroned over St. Moritz more elegant and luxurious than ever. It offers a spectacular view over the Lake St. Moritz. Suvretta House: IAmid a natural parkland, a place of hospitality and 5 star comfort is located. Two kilometers away from St. Moritz, you can escape the fuss of the city and enjoy peace in a luxurious atmosphere here. Kulm Hotel: Would you rather lodge in the center of St. Moritz? Then, the venerable Kulm Hotel is your perfect match. Over 160 years of history result in an appealing mix of noble interior from the foundation area of the and modern comfort. We are looking forward to exciting and spectacular days at the World Ski Championships St. Moritz 2017 from 06th until 19th of February.